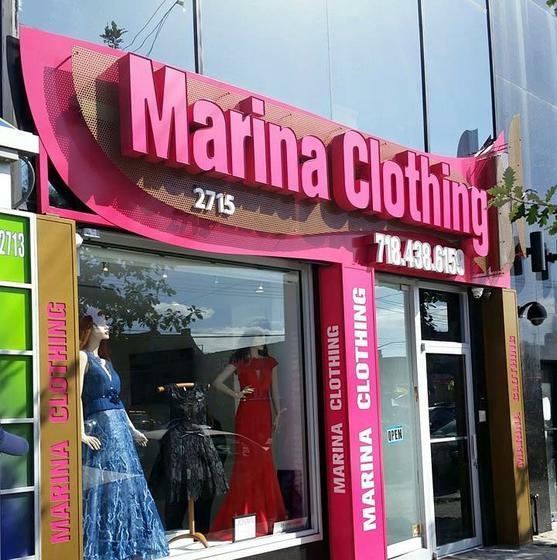 Marina Clothing is a store where you can purchase party, wedding, Bat/Bar Mitzvah or any occasion evening wear as well as a huge selection of European Day and Evening wear, coats, lingerie and especially focusing on having the largest selection in Brooklyn of Mother Bride-Groom dresses at the most competitive prices & largest selection ranging from size 00-30 in the most up to date evening wear to suit the most discrimination taste. Time & Time, again woman have relied on Marina Clothing for beautiful clothing and excellent one on one customer service. "If you want it, we got it" is our motto, so wether your a mother of the bride and/or groom or a guest, at a party, there is no doubt that Marina Clothing will have a dress or outfit for you.